A delegation led by H.E. 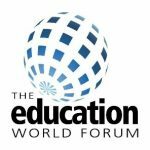 Mr Shiferaw Shugute, Ethiopia’s Minister of Education, participated at the Education World Forum in London from 19th to 21st January. The Minister was accompanied by his Deputy, H.E. Mr Wondwossen Kiflu, State Minister for Education. This year, the Forum focussed on three main areas namely, accelerating teaching quality, improvement in balancing skills- and knowledge-based education, and constructing compelling cases for national investment in education. The Minister had the opportunity of meeting the Rt. Hon Justine Greening, Secretary of State for International Development, at the opening reception, where they discussed the whole of DFID’s programme in Ethiopia, and in particular the education sector. The Minister also had the opportunity of explaining the achievements made in expanding the education sector and in improving the quality of education. The Minister also held parallel bilateral discussions with Baroness Lindsay Northover, Parliamentary Under-Secretary of State at the Department for International Development, on the education reforms undertaken in Ethiopia and the achievements made at primary, secondary and tertiary levels and in technical and vocational training in Ethiopia. Minister Shiferaw also gave a detailed explanation of the protracted efforts made to improve the quality of education at all levels. During his séjour, the Minister had the opportunity to network with his counterparts from Africa, Asia and Europe, and with companies that engage in the education sector. The delegation also had briefing sessions with experts from DFID, on research programmes, including diagnostic research, which the British government is planning to undertake in the coming months. The purpose of the diagnostic research is to work together with programme countries like Ethiopia to assess the education system and discover its strengths and weaknesses, with the aim of revamping the education system. The diagnostic research is also expected to identify gaps and introduce new elements into education system planning, designed to serve for the next five to ten years. Minister Shiferaw, in his meeting both with the Secretary of State and with the technical group, stressed the importance of expert groups led by DFID helping to build the capacity of university leaders, especially enhancing their capacity to manage higher institutions in organising course structure and building up the research and development capacity of Ethiopia’s higher institutions. In relation to higher education, he raised how DFID could be of help in improving the capacity of lecturers through inter-higher institution co-operation, networking and other proven mechanisms. The Minister also met and held discussions with Professor Martyn Poliakoff, Foreign Secretary of the Royal Society and Rector of the University of Nottingham, on how to strengthen the existing co-operation and the way forward. At the University of Bradford, Minister Shiferaw held discussions with Professor Robert M. Parkin, the Pro-Vice-Chancellor for Research and Knowledge Transfer; Professor Donnal Lee, Dean of Faculty and Professor David J. Francis, Department Head of Peace Studies at the university. The minister appreciated the university’s efforts in providing scholarships and capacity building programmes, and also reiterated the government’s keen interest in working with the university in implementing Peace Education programmatic areas and a strategy for their implementation. The Delegation also visited EON Reality, the world class Virtual Reality Corporation in Manchester, which works in the area of technology-based knowledge transfer for industry, education, and ‘edutainment’ and 3D visualization solutions that improve communication and knowledge transfer – such as simulation-based learning and training. The delegation was received by the company management, Mr Ken Swain, Managing Director, and Mikael Jacobsson VP of Business Development Europe. Mr Swain expressed his interest in establishing this pioneering technology training facility in Addis Ababa to help improve training and vocational training schemes. The minister appreciated the initiative and has confirmed his support.